A Facebook service for horses in need of rehoming. 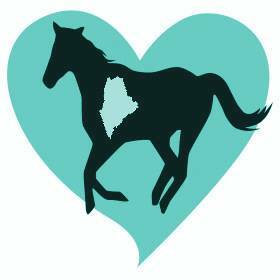 Maine Horse Matchmaker is a rehoming service which was created by the MSSPA to help horses find new homes. While this service is hosted on Facebook, you may submit information for a horse in need of rehoming here after reviewing of the following disclosures. The Maine State Society for the Protection of Animals, a 501(c)(3) public charity and tax exempt non-profit organization makes no representation regarding the accuracy or truthfulness of any information disseminated through the Maine Horse Matchmaker or by any individual or entity affiliated with the free, voluntary service. The Maine Horse Matchmaker is a service of the MSSPA and exists solely for the express purpose of providing information to the public regarding horses that must, for whatever reason be re-homed or relocated. USERS ARE SOLELY RESPONSIBLE FOR THEIR INTERACTIONS WITH OTHER INDIVIDUALS IDENTIFIED BY OR THROUGH THE SITE. YOU UNDERSTAND THAT THE MSSPA CURRENTLY DOES NOT CONDUCT CRIMINAL BACKGROUND CHECKS OR SCREENINGS ON USERS OF MAINE HORSE MATCHMAKERS. THE MSSPA ALSO DOES NOT INQUIRE INTO THE BACKGROUNDS OF ITS USERS OR ATTEMPT TO VERIFY THE STATEMENTS OF ITS USERS. THE MSSPA MAKES NO REPRESENTATIONS OR WARRANTIES AS TO THE CONDUCT OF USERS. THE MSSPA RESERVES THE RIGHT TO RESTRICT OR REFUSE ACCESS TO MAINE HORSE MATCHMAKER. The MSSPA is not responsible for the conduct of any user of Maine Horse Matchmaker. In no event shall the MSSPA, its affiliates or assigns be liable (directly or indirectly) for any losses or damages whatsoever, whether direct, indirect, general, special, compensatory, consequential, and/or incidental, arising out of or relating to the conduct of you or anyone else in connection with the use of the Maine Horse Matchmaker Website or Service including, without limitation, death, bodily injury, emotional distress, and/or any other damages resulting from communications or meetings with other users or persons you meet through the service. You agree to take all necessary precautions in all interactions with other users, particularly if you decide to communicate off the website or meet in person, or if you decide to send money to another user. You understand that the MSSPA makes no guarantees, either express or implied, regarding your ultimate satisfaction with individuals you meet through the service. You should not provide your financial information (for example, your credit card or bank account information), or wire or otherwise send money, to other users. Does the horse get along with other animals?